Fernando Alonso teased McLaren fans by sharing a snap of him at the team's headquarters over the weekend, raising the prospect of the two-time world champion taking part in pre-season testing for the team he left just at the end of last year. Alonso has stepped away from F1 in 2019 – his first non-involvement in the championship since 2002 – but he remains closely tied t McLaren and will race in the Indianapolis 500 with the team once again this year as he goes in search of the 'Triple Crown'. With former teammate Stoffel Vandoorne also leaving McLaren after an underwhelming two years alongside Alonso, an all-new line-up of Carlos Sainz Jr and Lando Norris will race for the Woking squad in the coming season. Sainz will likely take on senior responsibilities in his fifth F1 campaign, but McLaren's need for detailed feedback as they try to improve on another poor season just gone has led them to turn to Alonso. 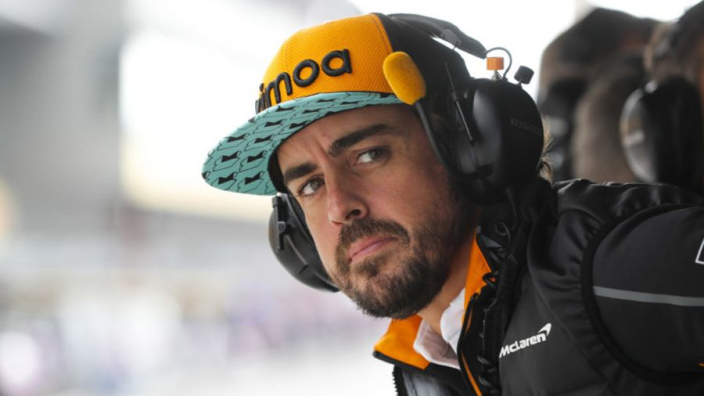 Team boss Zak Brown has made no secret of the fact that Alonso could take part in preseason testing in Barcelona. Spanish media has previously reported that he could be in the car for half a day at each of the two events. Both Sainz and Norris have welcomed the prospect of the veteran helping out during preseason, although Brown maintains that his main focus is getting his young drivers in the cockpit as often as possible, with McLaren having struggled for mileage compared to their rivals in recent years during testing. ???????????? @alo_oficial back at @McLarenF1 HQ!